In recent years, more and more people have begun realizing they have an intolerance for gluten, and the food products that contain it. In case you are unfamiliar, gluten is the general name for a group of proteins that are found in a variety of grains such as wheat, rye, and barley.Gluten acts as a sort of glue holding different foods together. Given the prevalence of these ingredients in the foods we eat, being intolerant of gluten can be a difficult obstacle to overcome. Especially if you want to enjoy a drink. 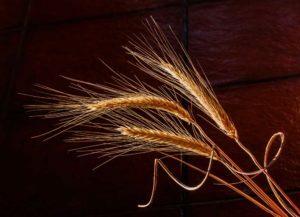 Given that beer is by definition, a fermented grain, it will contain gluten unless brewed specifically to avoid it. Those do exist, but they are rare. However, you are in luck, as many other types of beverages do not generally contain gluten. As this is primarily a mead site, I’ll begin there. 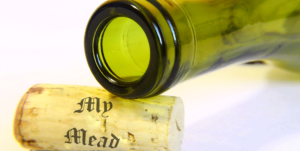 As a general rule, Mead does not contain gluten. The main ingredient in mead is honey. Honey is made from the pollen of flowering plants. Grains belong to the grass family which are wind pollinated, so generally don’t attract bees. Even if they did, I have not seen any evidence that pollen even contains gluten. As a rule, honey is a gluten free food. So a with a traditional mead, you’re in luck. But what about a flavored mead? Fruits don’t contain gluten. So just like most wines, a melomel, cyser, pyment or other fruit mead will be okay for you to drink. Herbs and spices also do not contain gluten. So any metheglin is also a drinkable alternative. That leaves us with the braggots. These are essentially mead and beer hybrids, as they contain some form of grain fermented along with the honey. These will usually contain gluten, and should be avoided if you are sensitive to it. The one exception to these is if the braggot is merely hopped, without any grains. Hops, being a flower, does not contain gluten. As mentioned before, wines, being made from fruit should be gluten free. Obviously there’s an exception for any additives that may contain gluten themselves. But again, the general rule is that wine should be safe to consume. Note that despite the name, barley wine, being brewer from grains instead of fruit is actually a beer. It will gluten. Cider is really just a specific type of wine. Apples being a fruit, contain no gluten. So the vast majority of ciders are gluten-free. However, there are some ciders that make use of barley for enzymes and flavoring. These are also potential wine ingredients, so as pay attention to the labels. This leaves us with the spirits. The process of distilling will remove any trace of gluten from the beverage. So unless a gluten containing ingredient is added after distillation, then it will contain no gluten. According to US labeling laws, however, if a gluten containing ingredient is used anywhere in the brewing process, even before distillation where it could not make it to the final product, they are not allowed to advertise as being gluten free. Gin is an example of this. Most gins are brewed with gluten containing ingredients, but the final product contains none. Many celiac sufferers have been able to drink these without negative effects. 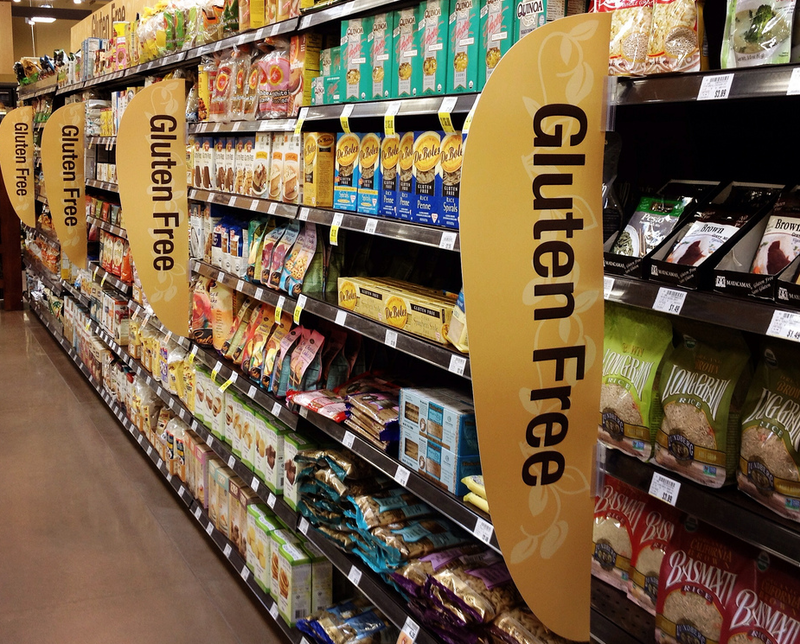 If you are still wary, there do exist some officially gluten free brands. Rum, being made from sugar cane is also gluten free. Do be aware that some mixed drinks made with rum could contain gluten. Pina Colada mixes are an example of one such mixture. Sake is an interesting drink. It is brewed from rice, which, while a grain does not contain gluten. However, it is fermented with an organism that is cultivated on miso which is made from barley. There should be enough of a separation in this process that it is safe for celiacs to consume. Tequila is made from agave cactus. It is a gluten free product. Again, be careful of any mixes that one would use tequila with. Vodka is made from a wide variety of different sources. These range from gluten free potatoes to gluten containing cereal grains. But as long as nothing containing gluten has been added back in after distillation, all vodkas should be gluten free, even if they are not allowed to advertise as such. Whiskey is in a similar tough spot to many vodkas. They are all brewed with gluten containing ingredients, however, these do not reach the final product and should be safe for those with a sensitivity to drink. But again, they are unable to advertise this in the US.